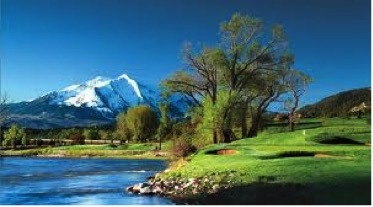 The Aspen Golf course and Subdivision is a 965-acre, 429 lot, high-end residential development built around an 18-hole championship golf course designed by Jack Nicklaus. Gould Construction has constructed infrastructure and golf course features valued at over 18 million over a 5-year period. Improvements included 6 miles of paved roads; 13 miles of concrete curb and gutter 18 miles of water and sewer mains, a regional wastewater treatment plant, and water collection and treatment facilities. The project also included installation of over 16,000 feet of large diameter pipe for raw water and drainage ranging in size from 36” to 54”.